This post was sponsored by Sverve and Amp Agency. All opinions presented are honest and that of our own. The coupon starts at $2.00 off but you can SHARE the coupon via email, Twitter or Facebook to increase it to $3.00 off! Many regional grocery stores may vary from store to store or from manager to manager. I have compiled the most set-in-stone coupon policies that I could find. 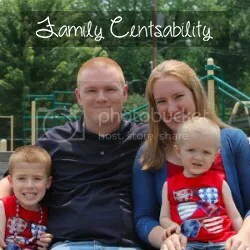 Please email familycentsability@gmail.com with any requests. If there is a regular coupon policy available, I will link to it. Links are provided as opposed to copied text due to copy right and plagiarism laws. My name is Danielle and I have a problem. I hate seeing my coupons go to waste. The other day I went to Walgreens intending to JUST get something to drink. On my way through, I saw that Garnier Fructis was 4/$14 with $4 Register Rewards, making it 4/$10…AND I had coupons for $1 off of each of the 4, so it was really 4/$6. That’s $1.50 each. Decent dea since it’s a brand I like and use regularly, right? But I already have plenty of shampoo and conditioner at home to last through the rest of the year. I still got it. Guess what? I spent $6 I hadn’t planned on spending. Sure that’s not too expensive but it can add up when you keep doing this! Have you done this? I know we are all guilty of it. I am not talking about hoarding or even minor stockpiling. I am talking about even going to the gas station to get a soda and you see that they are just a little cheaper each if you buy two, so you buy both instead of only the one you wanted. Sometimes it is important to ignore those offers. Take a moment to decide if it is worth it or not. Make budget and shopping lists and stick to them. Plan out your shopping and coupons before you go. Maybe give yourself $5-10 for extra things you may find on clearance that you really can’t pass up or may actually need, but for the most part, stick to your list. If you are worried you may spend extra, leave your spare coupons at home. Don’t just carry them around with you everywhere you go. Ignore “buy more, save more” ads. Think about if it is really worth it. Do you really need that many? Are you saving enough to justify buying more? You don’t HAVE to use all coupons. They don’t have to go to waste though. Give them away to someone who actually needs the product, or even leave them on the shelf in front of that product. Military families can use coupons expired up to 6 months and there are organizations that will take care of sending them if you don’t personally know any military families. Or you can just stick your expired coupons in the recycle bin. Look through your basket before you check out. Decide what you really do and don’t need. Are you are getting it JUST because you have a coupon and it’s on sale for an ok price? Or is it something you really will use? Remember, coupons and sales have a tendency to roll back around.